NEWSFLASH ladies! 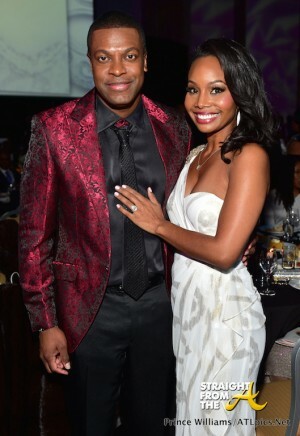 Comedian Chris Tucker is officially off the market! 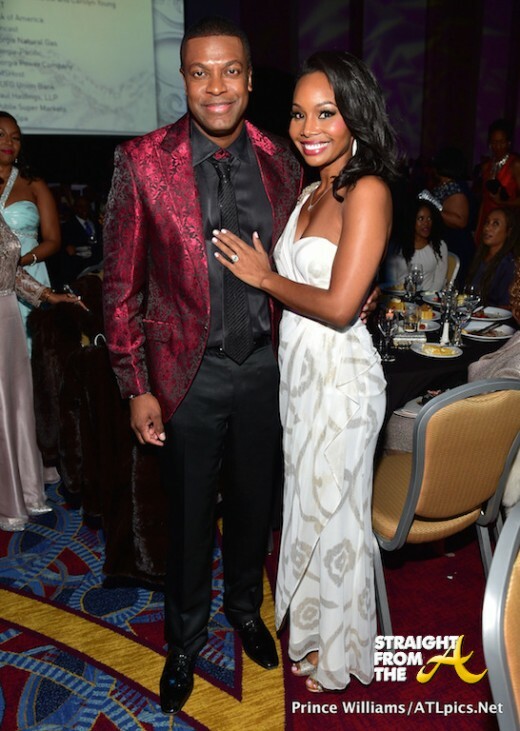 Tucker and his fiancé, Atlanta news anchor Cynne Simpson, strike a classic ‘look at my ring’ pose during the Mayor’s Masked Ball in Atlanta, which was held December 20, 2014. In my initial coverage of the event, I identified Simpson as Tucker’s ‘date’ and the comment section went wild with information about her identity. I also received several emails identifying Tucker’s ‘date,’ which indicated to me that SOMEBODY really wanted y’all to know about their relationship status… but I digress. Apparently the pair have been dating for quite some time and while the ring is a clear sign of a commitment, there have even been rumors that they’re already secretly married! Mugshot Mania – #RHOA Porsha Williams Arrested in Atlanta… (Again)! Porsha Williams of The Real Housewives of Atlanta has a brand new mugshot and this time, she didn’t have time to get full face of makeup. Williams, who reportedly got demoted for her boring storylines, just got a knotch on her ‘street cred’ belt with her 2nd arrest this year. However, Porsha’s latest mugshot didn’t stem from her dragging Kenya across the stage, this it was a minor traffic infraction that resulted in her arrest. NEWSFLASH! Things might be finally turning around for ex-housewife Sheree Whitfield! Word on the curb is that Whitfield is still reportedly chilling in her rental home, but she may finally be able to keep her promise of inviting Andy Cohen over to the infamous Chateau Sheree for tea & crumpets… soon (and by ‘soon’ I mean in a few more years). It was just last Summer that ‘Fashion Queens’ Derek J & Miss Lawrence visited the booming construction project (click HERE if you missed that) and since then, I’ve received several updates on Chateau Sheree’s progress. 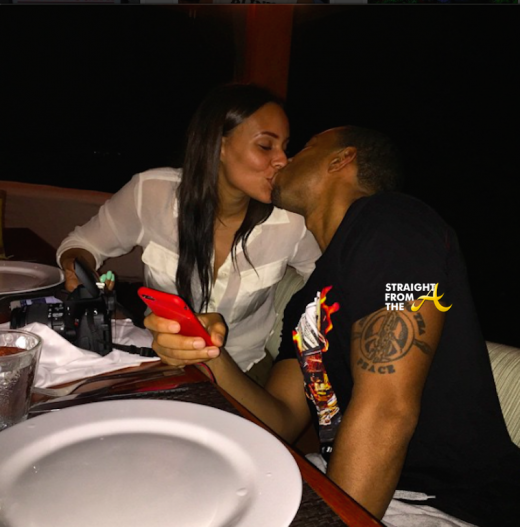 Christopher ‘Ludacris’ Bridges and his longtime girlfriend Eudoxie Mbouguiengue took their relationship to next level status over the Christmas holidays with a very public engagement! The cute couple were rumored to have been engaged a while ago, but their 5+ year relationship took a hit when it was revealed that Luda had a baby on the way. 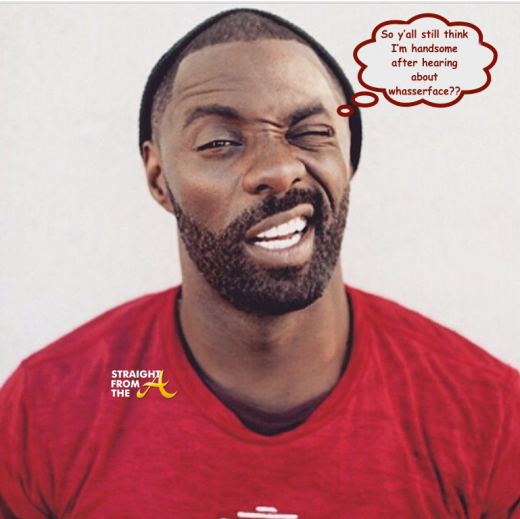 In 2014, the superstar rapper’s indiscretions publicly embarrassed his lady love, but he vowed to make things right when she stood by him through all of his baby mama drama. As the year comes to a close, the cute couple embarked on a week long getaway with 3 other couples where Luda presented Eudoxie with a mile-high proclamation of his love. 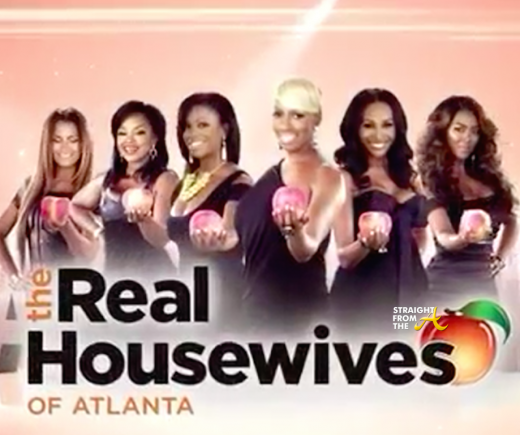 The Real Housewives of Atlanta didn’t take a Christmas break like the rest of us and aired the 8th episode of the 7th season last night (December 28, 2014). 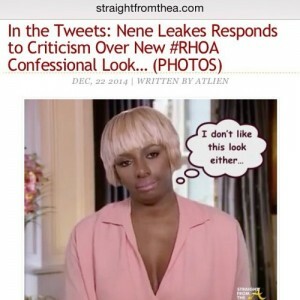 Last week, new ‘friend of the show’ Demetria McKinney was introduced and the buzz was all about her relationship with producer Roger Bobb and Nene Leake’s latest confessional look. In this week’s episode, appropriately titled ‘Tea with a side of Squashed Beef,’ the ladies all return to increase the peace this holiday season. Kandi can’t seem to keep the peace with her family, causing Todd to suggest an alternate solution. Phaedra looks ahead toward life as a single parent, while Claudia’s mom and grandma touch down in Atlanta to have some fun on the town. Kenya looks for office space to help with the launch of her new ambitious business plans and also accepts an invitation to sit down with NeNe, Cynthia, and Porsha — which ends with a surprising conclusion.